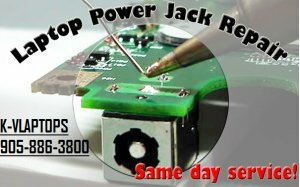 Broken power jack, loose connection, need wiggle to connect, no power, work with battery but doesn't work with ac adapter. Once you send your payment, we will email you the detail shipping instruction email ASAP and We will send your laptop back after repair! or Customer can bring the laptop to my store and wait for it! We can offer 90 days quality warranty on it.